Good Lifer writes: "The late afternoon sunlight was dancing through a stained glass window into my sitting room, dazzling Buddha." 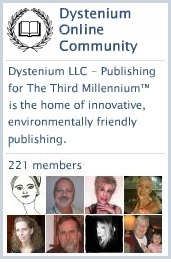 Meet Good Lifer and approximately 190 new writer and author friends at the DYSTENIUM Online Community. Click on the above image to get started. Membership is 100% free of charge. Satisfaction guaranteed or your money back! This entry was posted in DYSTENIUM Online Community, ning, Photography and tagged Buddha, DYSTENIUM Online Community, Good Lifer, New Zealand, photography, photos. Bookmark the permalink.